During our journey throughout the country, we encountered passionate and talented people who grow some extraordinary produce. We would like to share some stories about a few of these ingredients and the communities who have been growing them for thousands of years. There are 15 Mayan communities speckled throughout the Yucatán Peninsula who will be supplying us with some of the staple foods of the region such as corn, beans and pumpkin. They have an incredible history and tradition surrounding food that they grow either in their backyards, or in milpas (crop fields). These crops are simply some of the best we have ever tasted. The Traspatio Maya is a part of a non-profit organization that helps support the 15 communities and their food traditions. They do so by helping them recover ancestral seeds to maintain the indigenous ingredients of the region, which are an integral part of their culture. Some of the communities are spread throughout the state of Yucatán. Santa Rosa de Lima and Granada are situated in Maxcanú municipality; Itzincab Cámara and Xcanchacán in Tecoh municipality; South Temozón; Sinhunchén and Pebá in Abalá municipality; Yaxunah and Tixcacaltuyub in Yaxcabá municipality; and Celestún; and San Antonio Chum in Umán municipality. The rest of the communities are in the state of Campeche. In the Calakmul area, there are November 20, Castellot I, Cristobal Colón and Valentín Gómez Farías. 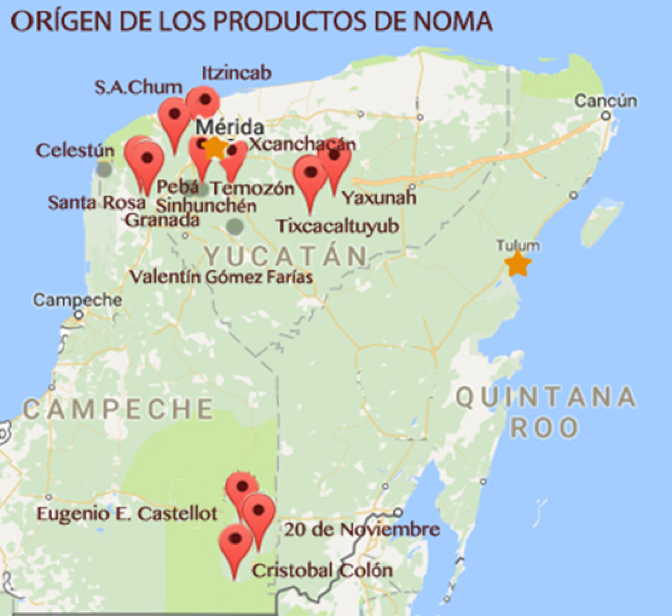 We are collaborating with Traspaito Maya to source our produce from this network. The ingredients that we have chosen for our menu have been selected for their incredible taste and quality. We are excited to be working with these wonderful communities, they have a remarkable history and possess a wealth of knowledge about food. 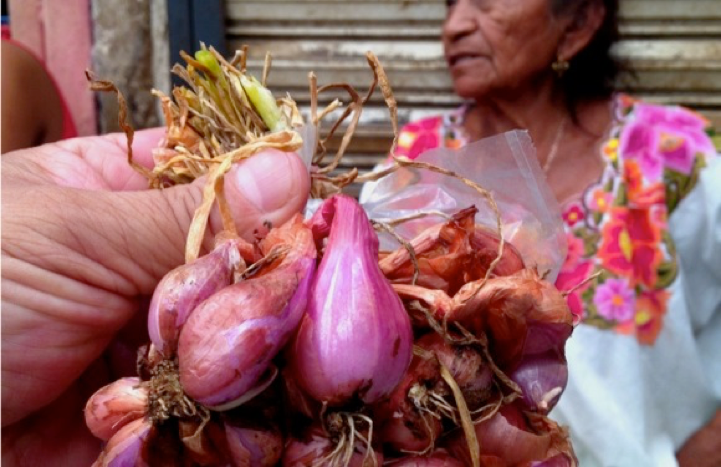 This is a very rare and native variety that grows in very particular conditions of soil, not common in all regions of Yucatán, but you will find it in the community called Ixil, its namesake. They are generally kept in Mayan kitchens, known for their unique and delicate sweet flavor and easiness to chop. 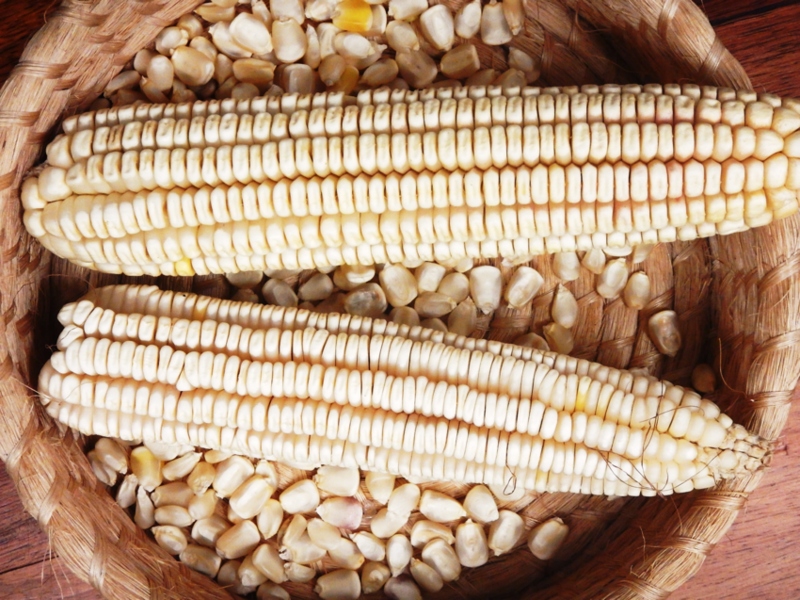 Corn is the core of the milpa and the basis of the Mayan diet and a main element of culture, history and tradition that has been passed from generation to generation. The corn in the milpa creates an ideal environment for the growth of both pumpkin and beans. These plants thrive symbiotically which has solidified the three of them as mainstays of the regional Mayan diet. The variety offered this season for the restaurant is the white Naal teel or Knuk´naal. We chose to source our corn from Yaxunah because it was there that we tasted the best tortillas of our entire trip. 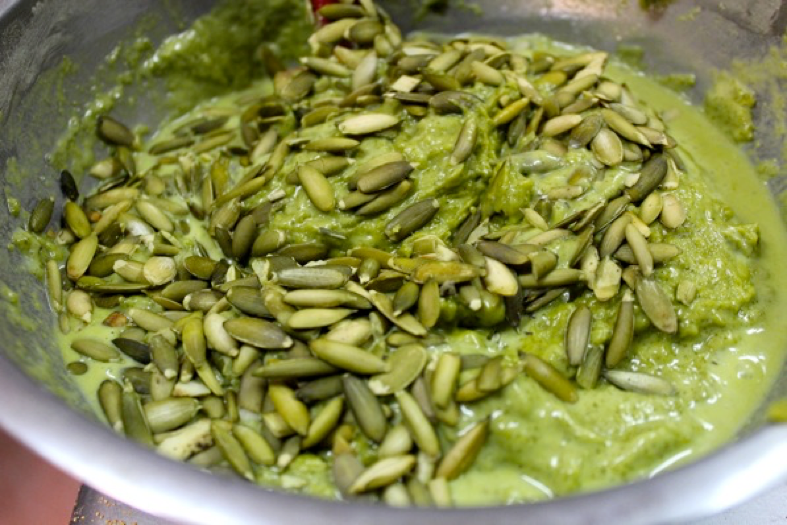 Pepita is the local name for the pumpkin seed from the variety known as Xtop, a large and strong flavored variety of pumpkin. Generally, the producers eat the pumpkins themselves and grind the pepita for selling. One of the most traditional dishes in Mayan tables is the Dzikil pac made with tomato and pepita. 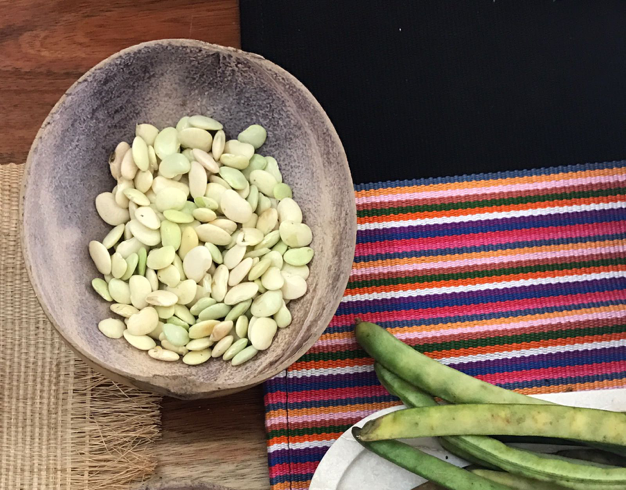 Ibes (white beans) is the third essential product of the milpa ecology. It grows naturally adapted to the chemistry of the soil where the corn grows, using the plant as guide for catching the sunlight. It grows beside other kind of beans like Xpelón or black beans, which are also part of the Mayan diet. 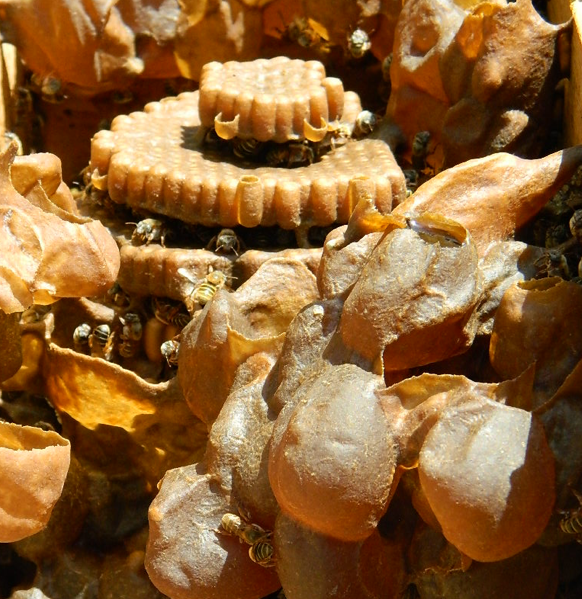 Bee larva was traditionally part of the Mayan diet, as a source of protein instead of meat. The larva consumed by Mayan people comes from the wild hives of wasps called Ek. They were part of the diet of ancient families in times of food shortages, and their harvest can only happen during a crescent moon when the larvae are in development. This tradition has diminished over time and the use of bee larvae of Ek or Apis Melifera in dishes is very rare. We are excited to use this on our menu because this is an ingredient that we already are very familiar with in Copenhagen. Melipona honey is a thick, sweet and sour liquid obtained from the stingless bee Xunan Kab of the Yucatán Peninsula, an endemic species unique to the region. It is richer in nutrients than any other type of honey in the area. With medicinal properties, it was traditionally used in Mayan medicine. This honey comes from a town in Calakmul Reserve Biosphere on a Unesco world heritage site, making this some of the purest melipona honey available. We can’t wait to show you how these ingredients will be used on our menu! Until then, stay tuned for more from us.